The AZ Mixing Eductor can provide the required energy to accomplish proper mixing, hydration and dispersion utilizing a conventional centrifugal pump or rotary gear pump. The AZ Eductor does not use mechanical shear to achieve uniform hydration and dispersion. Uniform blend with polymers, starches, emulsions, clays, pigments, gums, and hydrocolloids. 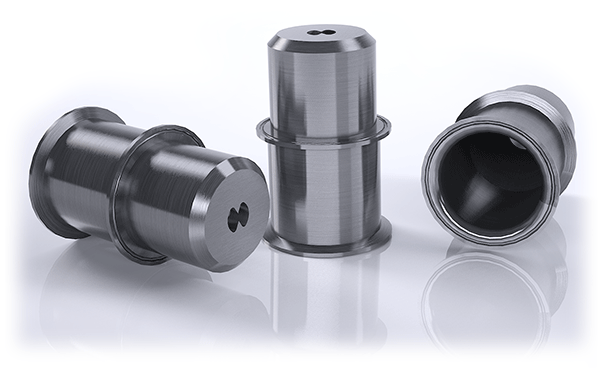 The AZ Mixing Eductor has a non-circular nozzle that generates twin geometrically and opposing downstream vortices. The twin vortices interact with each other’s overlapping axes. The overlapping axes influence fluid stretching and folding. During the stretching, interfacial contact exposes individual strands that promote rapid hydration and the folding motion uniformly disperses the slurry. The dynamic interfacial contact in mixing will enhance the stability of the slurry. Please contact our sales team to learn more about our AZ Mixing Eductors and our Pilot Study Program. Please click on the corresponding links below to access a PDF file of our AZ Mixing Eductor Performance Charts, sizes (1.0″) to (3.0″). AZ Mixing Eductor with 22” Conical Hopper (Model C-ED-1.5-S-07)? 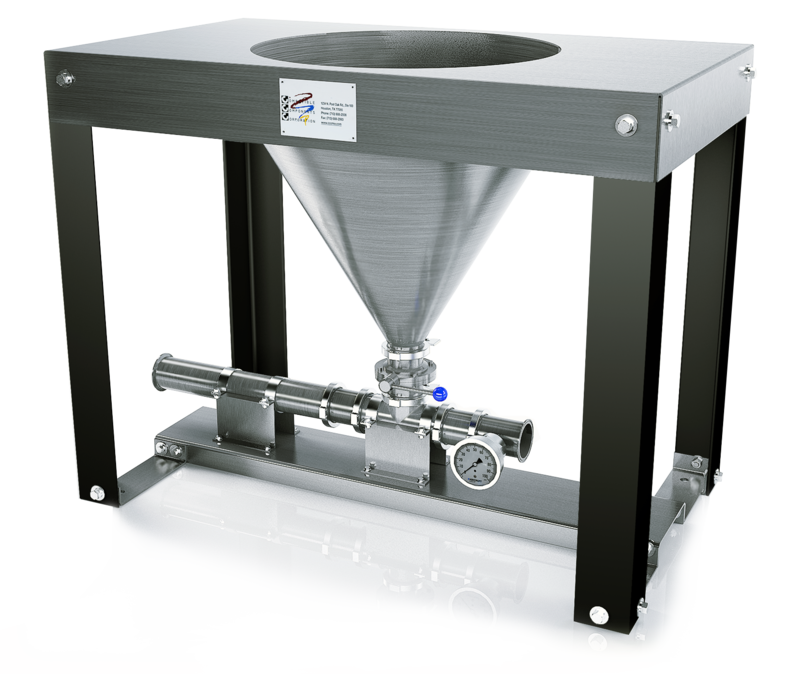 AZ Mixing Eductor with 14” Conical Hopper (Model C-ED-3-S-05)?